This is a short and sweet post to express my gratitude for you being part of my writing, blogging, and self-discovery. Along the way, I’ve discovered new joys, new pains, hidden strength and amazing friends on WordPress. Thank You! 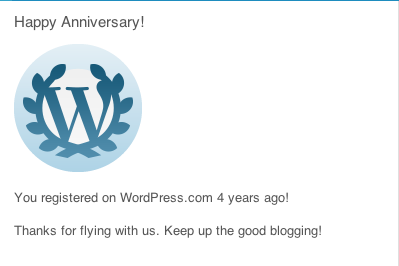 My blog was started just over 4 years ago as an attempt to find peace, joy and new creative expressions. I’ve had a blast writing about topics ranging from compassion, love and peace to inspiring stories with occasional forays into play and silliness. Poetry is the most soulful for me, but I don’t feel inspired to write poetry daily like some of you. Playful posts seem the most refreshing. And I typically write what is real and bubbling inside me, rather than some prescription of what I should write. I believe it’s important that we honor our inner muse and spirit. Admittedly, I still find it incredibly difficult to know my highest dreams, desires and choices. This is one of my persistent challenges and frustrations, but that is a post for another day. 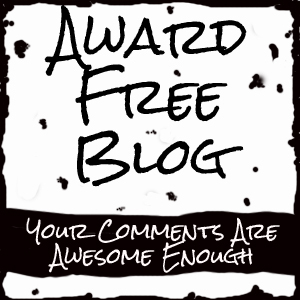 Today, we are celebrating our blogging community. Without your likes, comments and connections, I would not have persisted in this blogging journey. You are the reason I write and continue. Thank You! Stats are a fun way to watch the growth of my blog and community. Together, we’ve built over 1007 subscribers, 9593 visitors and 36,422 views. Not bad for something I started 4 years ago on a whim and nudge from a friend. Thank you Eric Huber! for now I must bid adieu. Thank you my dear readers, writers and friends. May we share the journey with as much love, fun and compassion as possible. Thank you for inviting us into your warm and textured space. We are blessed to know you through your creative love energy. I am SO GLAD to have you in my world, guy. Congratulations and looking forward to viewing more of your interesting post ups. Have a great day. Thank you Julie. That is fun that we started about the same time. I enjoy your playful weaving of life, nature, photography and family. Thanks for being a friend, reader and supporter. to those feisty muses! A great milestone Brad. I hope you can root your feet in the earth and stand tall and proud of all the light you have created by sharing your journey and gifts here on this blog. I am so glad I clicked on my reader this morning…..it doesn’t happen very often these days. Live life in full bloom my friend. The sunshine is calling to you my dear friend. Thank you Lisa for all the love, encouragement and sunshine you offer routinely. I’m delighted that you visited and spread a little sunshine today! 🙂 Thanks for sharing the day and journey. Thanks for adding some fun and sparkle to the journey Kirt! 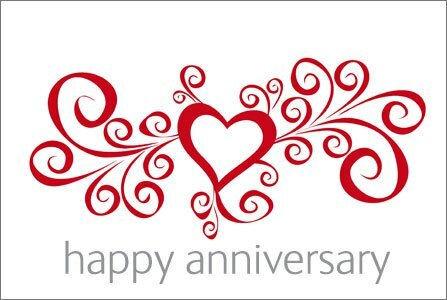 Happy 4th anniversary, Brad! I’m so happy that our virtual paths have crossed. 🙂 It’s always a pleasure to read your work. Congratulations Brad! You’ve offered so much to your readers, and I’ve enjoyed seeing you grow as a writer! I’ve appreciated your authenticity and honesty, your caring for the earth and all the positive news you bring us, and your beautiful musings on being human/divine beings! Thanks dear Leslie. I appreciate your perspective and encouragement over the span of time. Each comment is received in my heart. Thank you. May we grow in our human capacity to express the divine. Wonderful and congratulations ~ keep the treasures coming our way. Thank you Randall. It is a pleasure to share the journey and adventures with you. I love the imagery of flags flying! Thank you Barbara for the encouragement and great reminders. Hugs and prayers for you to feel better. 🙂 These incognito comments are fun! Congrats on your anniversary, Brad! Hello Brad… Congratulations on your great blogging anniversary… and how wonderful it has been to be with you when time has allowed… We are all blooming in our own unique ways, IAM so happy you post when you feel for it and not according to others or what is right…. otherwise we are being so unloving towards ourselves. As for not knowing all of you just yet… continue enjoying each moment of each day and everything will show itself to you in time. Just allow your highest desire to unfold within you… and so it is done. Dearest Brad, It is my pleasure to have found you here on WP and to be part of this amazing journey on WordPress..
Congratulations upon your 4th successful year of Blogging and I love your Awesomeness and I am sure your own journey will soon surpass the many frustrations life often throws at us in order to get our attention.. Loved your poem, and You have made many of my days here visiting shine my friend.. Love and Light Your way my friend.. Thanks Brad, my little creatures and I are lucky to have you as a friend. I’m glad you started blogging and are part of my blogging community. You bring light to the world and have encouraged me on some challenging days. THANK YOU for your blog. Thank you so much Cynthia. I’m delighted to know that I’ve helped lift you up some days. We don’t always know the impact of our words and deeds and maybe too often I doubt the value of what I’m doing. Yes indeed, Brad. You’re a real light in the world. You’re such a source of encouragement to so many in so many ways! Thank you! Wishing you miracles and smiles…more than you can imagine! Sending joy! You’re really catching up today. The anniversary seems like ages ago with the way this month has gone!